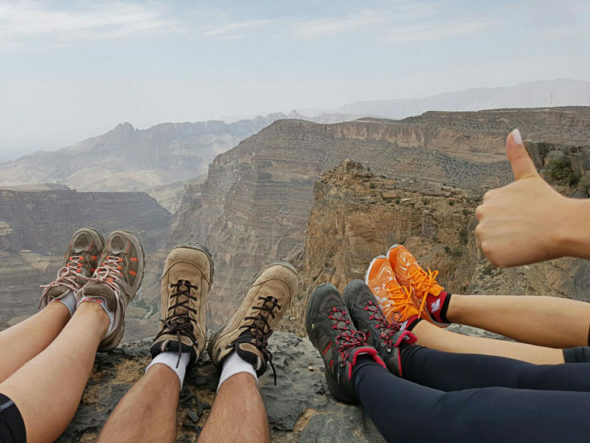 A “United Nations trekking squad” (Canadian, German, Korean and Polish) went to explore the rocky Hajar Mountains of the Arabian Peninsula. 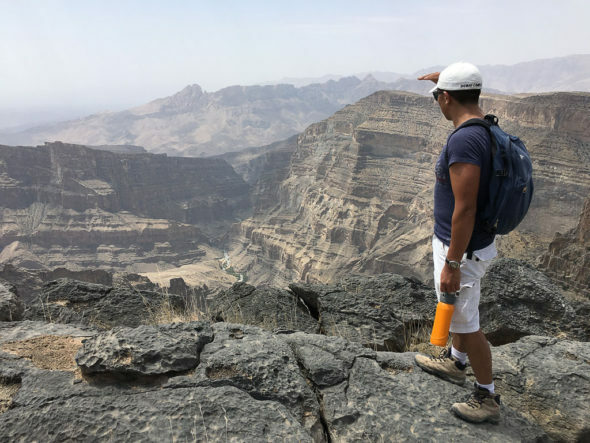 In spite of its brevity (a one-day trek), the trek through Jebel Shams was a rewarding adventure which offered breath-taking panoramic views of the Hajar Mountains. 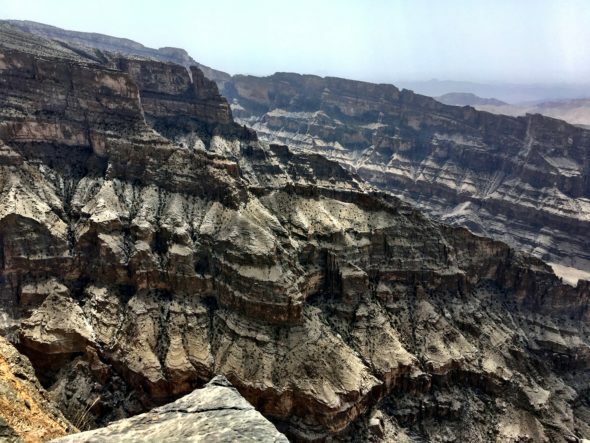 We took the scenic W4 route, a well-marked path (yellow-white-orange markers) that straddles the top of the canyon (Wadi An Nakhur) — and reaches 3,009m the highest point in the Arabian Peninsula. It was a moderate, day-long hike (08:30-17:30) that started at 1,950m and reached almost 3,000m at its apex. We went in late summer (Sep 2016), when temperatures on the ground surpass 40 Celsius. But thanks to the elevation of the trail, we were treated to a comfortable low-20s weather for the hike, but the strength of the sun was nevertheless felt by us all. However, occasionally we enjoyed the shade provided by the juniper trees that dot the trail. For such a long hike, three litres of water per person is the minimum needed to reach the top — 4+ litres (and with electrolytes) would be a more sensible ration. You will also need comfortable hiking shoes (with good ankle support) and a good dose of sunblock and snacks and meals appropriate for the weather. Hiking the rocky Hajar Mountains of Oman. Jebel Khawr (2,730m) and Jebel Misht (2,090m) seen from the trek up the highest accessible peak in the region: Qarn al Ghamaydah (2,997m). 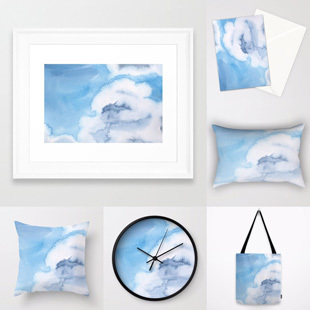 This entry was posted on Wednesday, September 14th, 2016 at 12:34 pm. 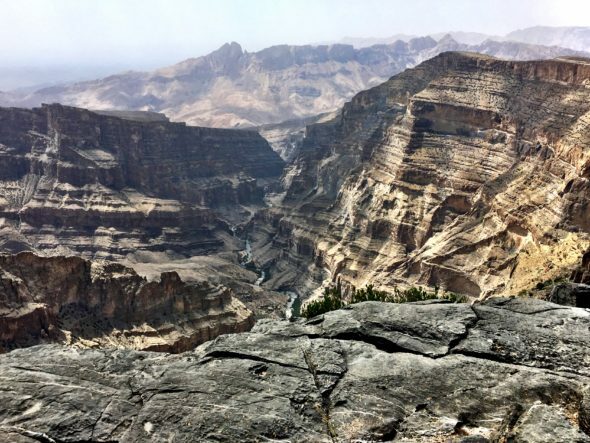 It is filed under Middle East, Recent Articles and tagged with Jebel Shams, Trekking Oman. You can follow any responses to this entry through the RSS 2.0 feed.